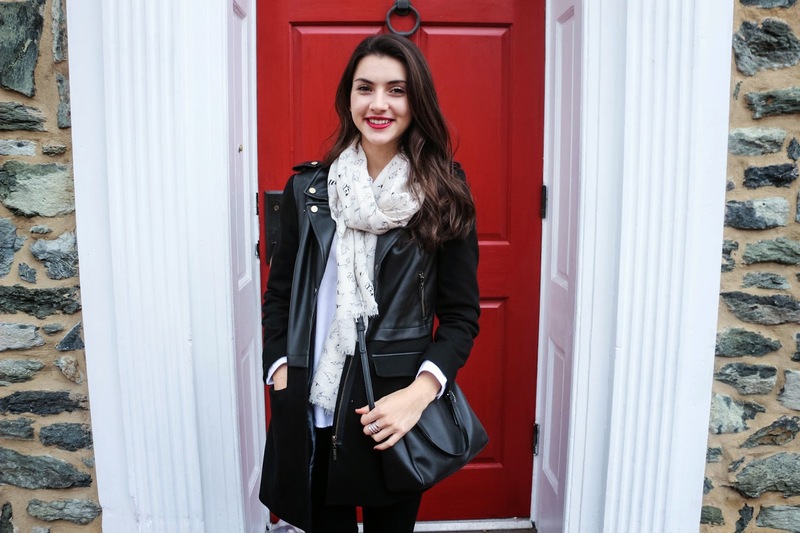 So I know it's been a while since my last outfit post...but I'm back and excited to share this one with you! This look has a certain chicness to it that I absolutely love along with the fact that it is super simple and comfortable. I'm definitely one of those girls that loves an all black outfit because of its simplicity, edginess sophistication. 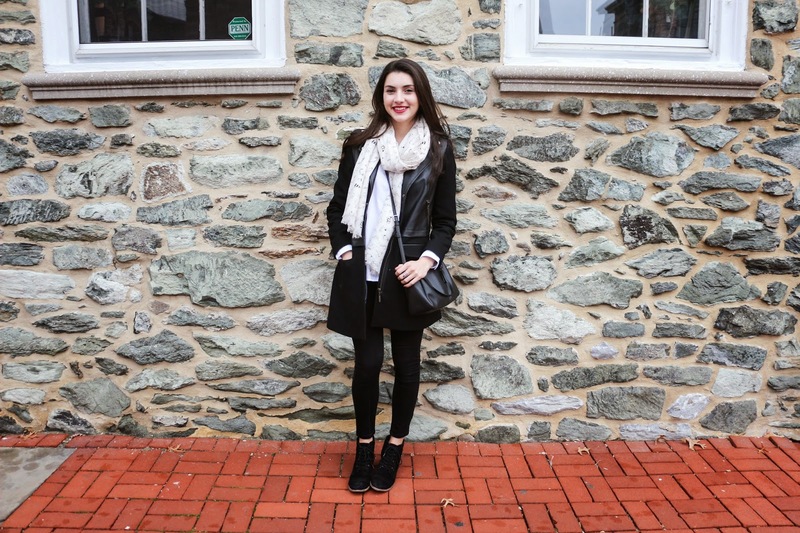 I paired my go-to button down and black skinnies with a coat that I have been obssesed with this winter! I was really drawn to the contrast between the leather and fabric and the hardware all over the jacket. 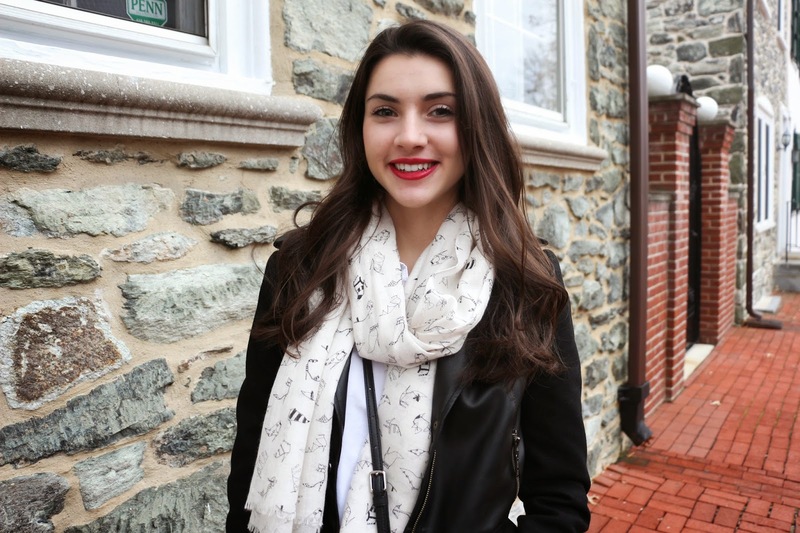 Black booties, a simple cross-body, and a printed scarf were a must and a bold red lip finished off the look! What has your go-to outfit been lately? Great look! You wear a red lip well! !